Spotlight Books are the Little Book wave of the future. Oy vey!" This simple phrase can express happiness or dismay, surprise or frustration, angst or joy. It can be a bold statement or merely a question. Whatever the situation, it appears in one form or another throughout the stories and jokes found in this classic collection. 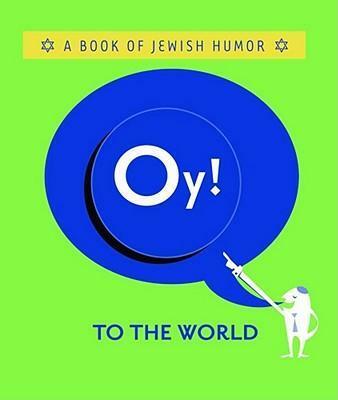 Simple graphics and sidesplitting humor roll from this Little Book, which includes a removable "Oy!" magnet. Ariel Books has consistently produced high-quality, small-format gift books with their contemporary style and content. They have established a successful track record in their Little Book, Tiny Tome, Quote-a-Page, Oblong, Monterey, Tuscany, and Spotlight gift book lines.